May 21st in Premium Themes by Wordpress Jedi . Technoholic is a cool WordPress theme that is designed to help you start your very own technology blog fast. As the name suggests, Technoholic is designed for those who are looking for a nice template to build a technology blog upon. It’s a 2/3 column WordPress theme that is compatible with most popular browsers such as Firefox, Flock, and IE. Technoholic is very easy to use and flexible at the same time. 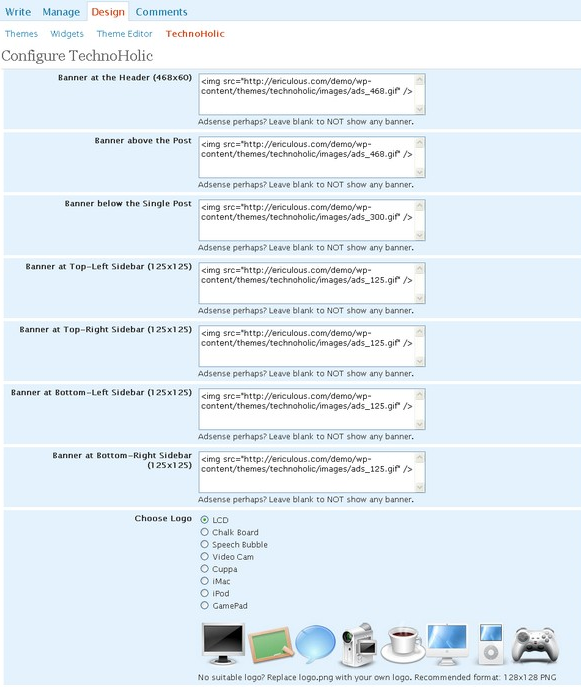 You get a 2 column sidebar that you can use to put your sponsors offers on your blog. 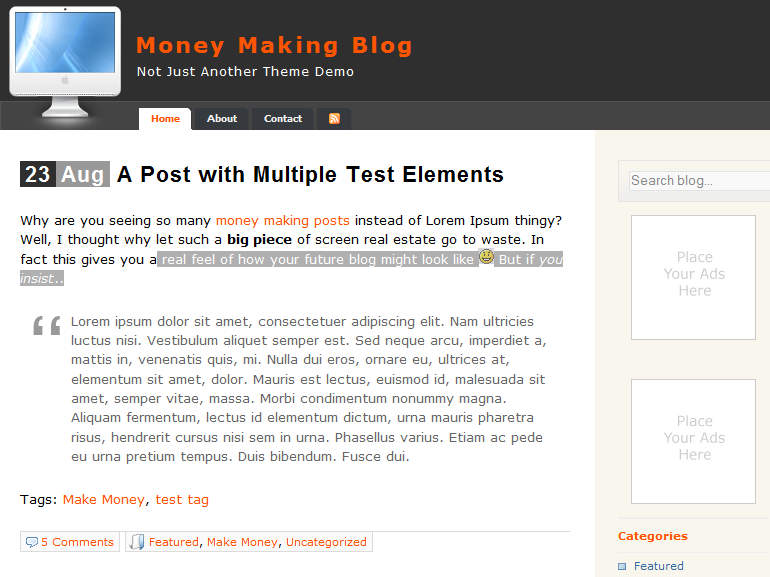 You also get a 3-column bar in the bottom of your theme that you can use to display your recent posts or archives. Technoholic comes in 4 color themes: grey, blue, green, magenta. The settings are easy to change and the theme is very flexible. You can change color themes easily on the backend. You can also customize your logo from the very same place. Finally, you can hide the bottom bar if you don’t prefer your users to see it. Technoholic comes in two versions. You can download the free version and use it on your blog without having to pay a fee. But if you need more features or if you want to remove the credit link, you can sign up for the premium version. Overall, Technoholic is a cool WordPress tech theme that is not only very flexbile but also affordable as well.